If you’ve ever traveled to Orlando or Disney World, chances are you’re already well-acquainted with Alexis Salerno’s blog, Gluten Free in Orlando. To say that she has her finger on the pulse of gluten-free Orlando would be an understatement, as she never fails to impress with her reviews of the latest gluten-free Disney offerings and special events. Alexis recently traveled to the Seattle area, and we’re excited to share her delicious gluten-free finds in Bellevue, Washington. Bellevue is the second largest city in Washington and is located across Lake Washington from Seattle. When we visited in March, I was really impressed by the beauty of the city, and its wealth of gluten free options. We could have eaten at some of our favorites from Orlando, like Maggiano’s, P.F. Chang’s, California Pizza Kitchen, Red Robin, Chipotle, and Red Mango, but we like to choose local restaurants with gluten-free options when we travel. 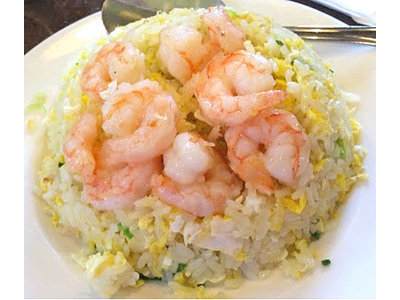 Using the Find Me Gluten Free app, we discovered Cactus and Din Tai Fung, which are both located in downtown Bellevue. 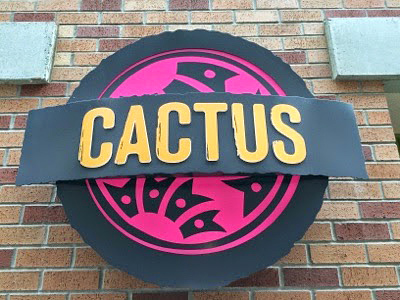 Cactus offers Seattle innovative Southwestern, Mexican and Spanish cuisine at five locations in Seattle, Bellevue and Kirkland, Washington. The tortilla chips are not safe at Cactus, because they don’t have a dedicated fryer, but their gluten free menu has plenty of great options. For our first entree, we chose the Tacos Carne Adovada, which is classic New Mexico braised pork with avocado and Cotija cheese, served with Spanish rice and cumin black beans. My husband and I agreed that the house-made white corn tortillas were the best tortillas we have ever had. They were a little thicker and not as dry as corn tortillas usually are. The braised pork had a nice spicy kick, and was perfectly complemented by the avocado and Cotija cheese. We also enjoyed the sides of rice and black beans. 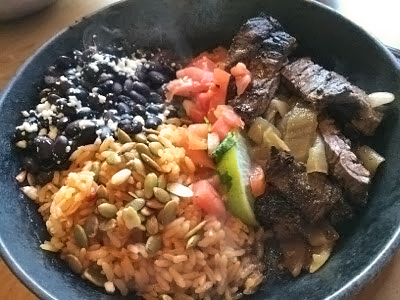 For our second entree, we picked the skirt steak Cactus Fajitas served in a sizzling skillet with Spanish rice, cumin black beans and caramelized onion. The fajitas came with sides of guacamole, sour cream, Jack cheese, lettuce, pico de gallo, and warm corn tortillas. 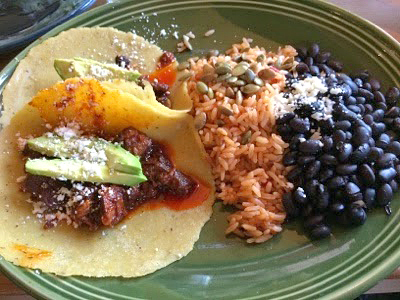 We loved our fajitas, which were nice and flavorful, but agreed that the Tacos Carne Adovada was our favorite entree. Din Tai Fung, like Cactus, is located in Bellevue Square, but also has restaurants in Seattle, Los Angeles, and Orange County, California. Gluten-free options are marked on their regular menu. 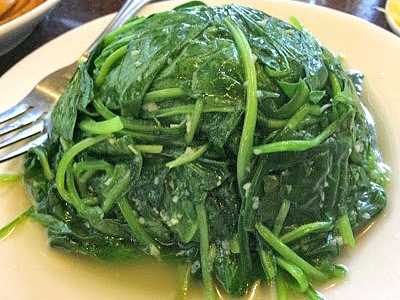 To start, we shared an order of sautéed spinach with garlic with our friends. It was a healthy and delicious way to begin our meal. While everyone else shared gluten-filled dumplings and buns, I had the shrimp fried rice all to myself. The portion was extremely generous, and I enjoyed the simplicity of this dish. The star of my meal though was my dessert, the red bean sticky rice wrap. I have been a fan of red bean paste since I was a teenager, because of the fish shaped pastries they used to sell at the Japan Pavilion in Epcot. These pastries stuffed with red bean paste are no longer available at Disney World, and I couldn’t eat them anyway, because of my celiac diagnosis, but the dessert I had at Din Tai Fung brought back a great food memory for me. 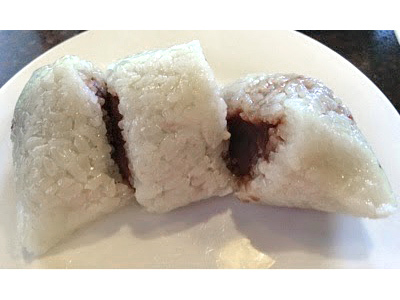 The red bean paste was just a little bit sweet, and was so incredible combined with the sticky rice. 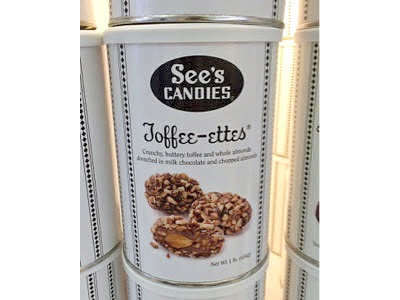 After spotting a See’s Candies shop in downtown Bellevue, I knew the perfect gift to get my parents for watching our daughters while we were away. While buying them a box of nuts & chews, I spotted my personal favorite, See’s Toffee-ettes. They are made with crunchy, buttery toffee and whole almonds drenched in milk chocolate and chopped almonds. They might be the most addictive candy on the planet. Don’t say I didn’t warn you. 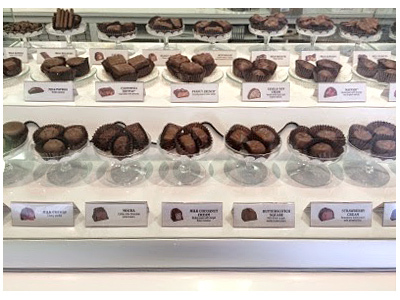 One of the best things about See’s Candies is that everything is gluten-free, so I could choose any of the boxed candies, or the individual candies in the display cases. 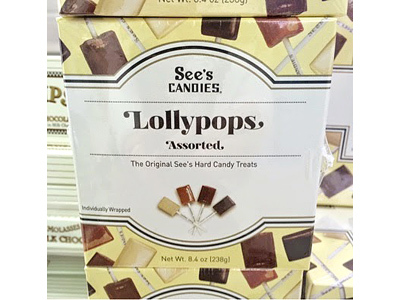 While in See’s, we bought a bag of chocolate lollypops for our daughters, which are definitely the best lollipops we have ever tried. 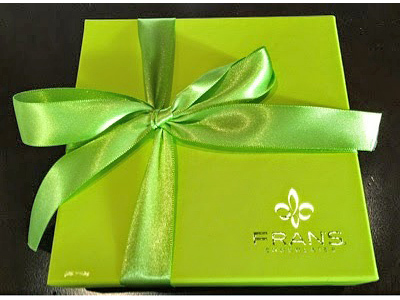 We also came home with a box of candy from Fran’s Chocolates, which is local to Seattle and Bellevue. 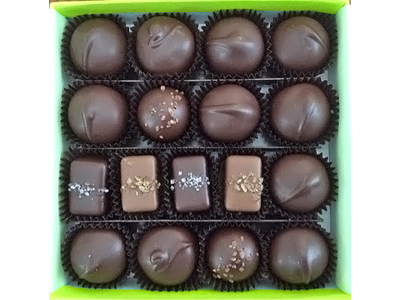 Everything we tasted was creamy and delicious, and all of Fran’s candies are gluten-free. 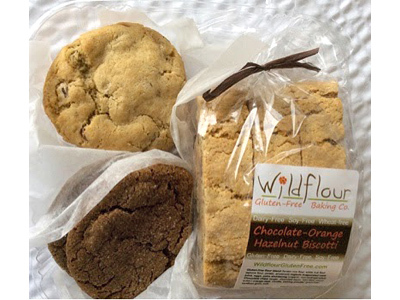 Our final gluten-free find from Bellevue was Wildflour Gluten-Free Baking Co. Sadly, because it was closed on the days we were there, we did not get to go to the bakery, but when we arrived, I was greeted with two boxes of baked goods that had been picked up for us the day before. I was really impressed with their chocolate chip cookies, molasses ginger cookies, and chocolate-orange hazelnut biscotti, but the blueberry streusel muffins would keep me coming back at least once a week if we were locals. 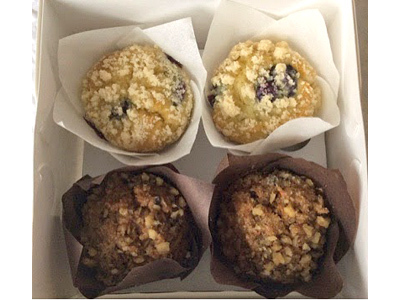 The muffins, which are made with fresh berries and a hint of lemon, were so delicious with their crunchy cinnamon streusel crumble on top. They are definitely the best muffins I have had from a gluten-free bakery in the seven years since my celiac diagnosis. Wildflour Gluten-Free Baking Co. is a locally-owned family business that maintains a gluten-free and peanut-free environment, and they do not use any bean, corn or soy flours. Most of their products are also made without dairy and casein.